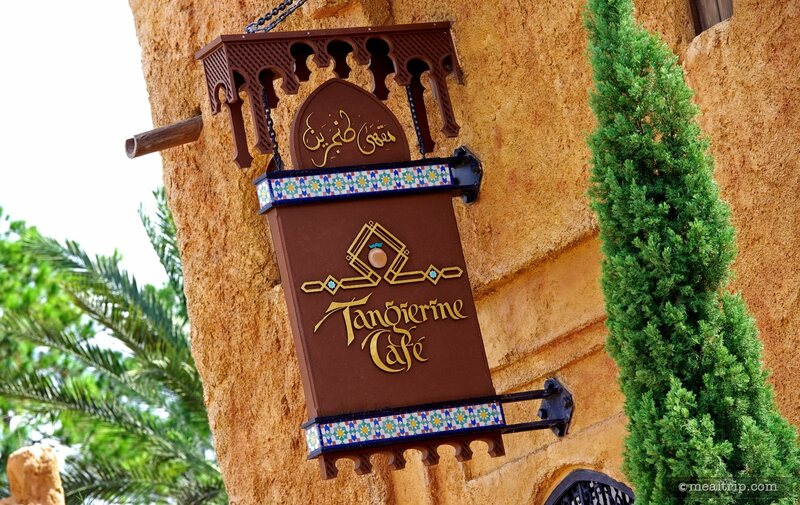 The Tangierine Café is a Mediterranean eatery located in the Moroccan pavilion at Epcot, and offers both indoor and outdoor seating. Just past the ordering registers, there is an on-stage food preparation area, where you can see marinated lamb and chicken roasting on a rotating skewers for the shawarma wraps and platters. Authentic design details are mostly located in the ornate high ceiling and the mosaic tile work in the floor and table-top inlays. 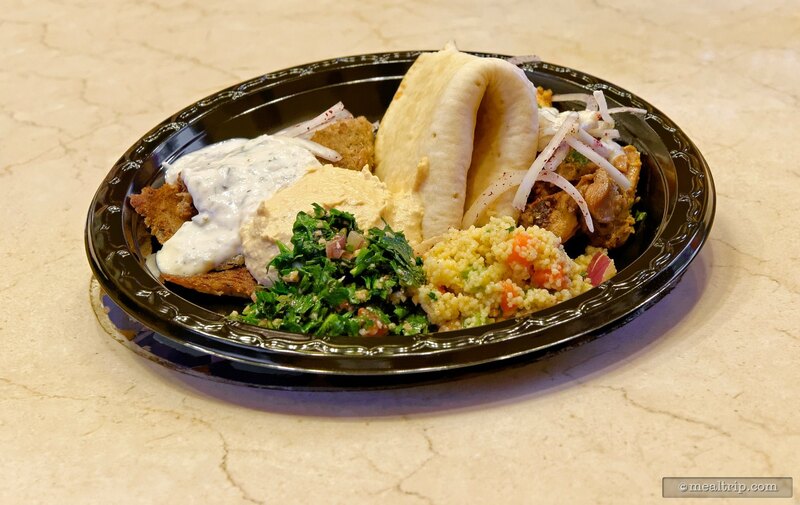 Fresh tabouleh, hummus, lentil salad and falafel are a few of the sides that are available with the wraps and platters. At a separate register, there are specialty beverage offerings, along with various Baklava and freshly baked pastry items. 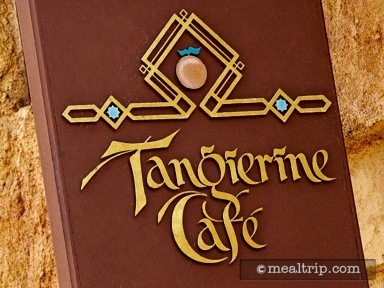 Delicious plate with a variety of Morrocan foods. The coucous perfect and the humus is always fresh.